If you need an easy appetizer for your summer gatherings, you’re going to love these delicious bacon-wrapped shrimp kabobs! It only takes two main ingredients plus a little seasoning for more flavor, but the results are amazing. Read on for the recipe, plus some delicious dipping sauces to set out for your guests. This recipe is so easy, you won’t believe it. The real secret is in the dipping sauces, so make sure you get some of these great ideas for your kabobs! 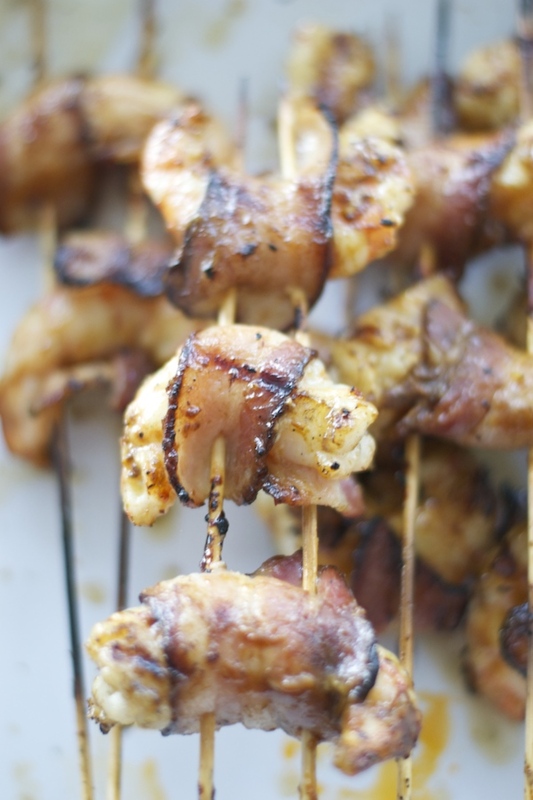 Perfect for summer grilling and a great way to combine two favorite ingredients: shrimp and bacon! Making your kabobs will take only a few minutes. Just make sure you clean and peel your shrimp well. I like to use medium/large size shrimps for this recipe. The bacon will nicely wrap around them. Also a little tip for not burning the skewers is to soak them in a large bowl with water for about 15-30 minutes before grilling. Your family and friends will absolutely love these creative shrimp kabobs. I mean, who does not like shrimp and bacon? Give it a try, the combination of ingredients is awesome. You won’t be disappointed, I promise. So many dipping sauces go great with shrimp and bacon, and it’s hard to narrow it down to just a few favorites. You already know that maple goes great with bacon, but did you know it pairs nicely with grilled shrimp, too? Making a maple dipping sauce is literally as easy as pouring some real maple syrup into a bowl and setting it out. Of course, authentic maple is expensive (if you’re paying $2 for it at the supermarket, it’s not real maple), so you might want to go with a maple yogurt sauce. To make it just add 3 tablespoons of the syrup to a cup of plain yogurt and stir until combined. Another super simple sauce that’s as easy as opening a jar and pouring, you can never go wrong with mustard. The hardest choice will be which type to use. I recommend either a honey mustard or a bold Dijon. You can even make your own Dijon following this recipe. Of all the sauces on this list, Tzatziki is the most neutral. Don’t let that fool you, though. It’s full of delicious flavor! While you can buy Greek Tzatziki sauce, it’s so much better when it’s homemade. Try this easy authentic recipe! Now, here’s a dipping sauce with kick! A staple in Moroccan cooking, Harissa is loaded with peppers and garlic, with a touch of lemon to balance it out. Get the recipe here. An Argentinian delight, Chimichurri has a good kick to it without being quite as fiery as Harissa sauce. It goes perfect with grilled foods in general, so make enough to go with any other BBQ dishes that you’re serving. Try this recipe for a yummy homemade chimichurri sauce! Despite its French origins, it was actually New Orleans that made Remoulade popular in the US, where it’s commonly served as a dipping sauce for shrimp. 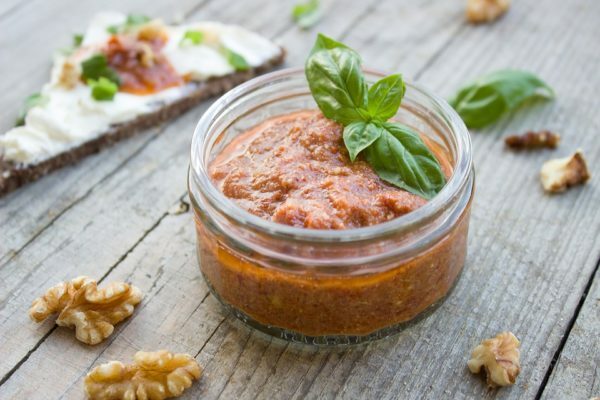 While it has a bit of a bite, this sauce is more tangy than spicy, making it a good neutral option. Grab the recipe here. If you love the combination of sweet and tart with a tinge of spice, try a yummy cranberry dipping sauce with your shrimp kabobs! Here’s a great recipe to try out. Buffalo dipping sauce is another option that goes with just about anything. While it can have either a creamy or a “runnier” texture, for these shrimp kabobs I recommend something in the middle, like this recipe. 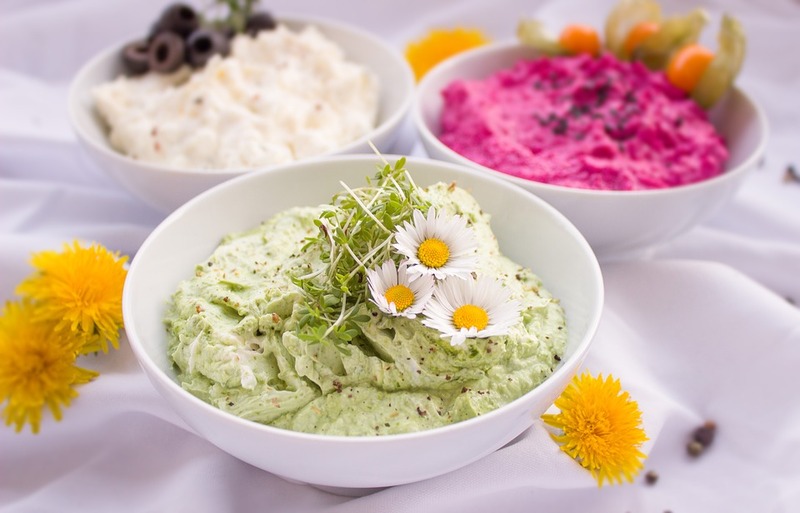 Another neutral sauce that you can never go wrong with, avocado dip is a staple for pretty much any party. Make a large batch of this recipe, as it’s going to go fast! If there’s one dipping sauce that screams “shrimp,” it’s cocktail sauce. This should definitely be one of the sauces you set out. Did you know that’s its super easy to make your own? Try this recipe out! See how hard it is to decide on just one? 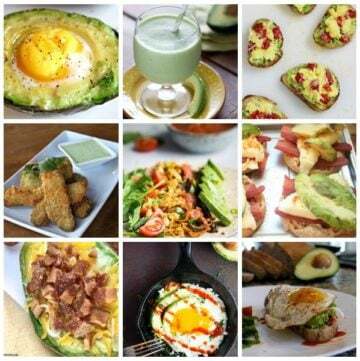 Fortunately, most of the recipes are super simple and share a few key ingredients, so you can go ahead and make a few. 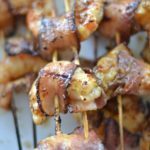 If you’re just having a small barbecue or planning to serve the bacon-wrapped shrimp kabobs as a fun dinner recipe for your family dinner, you’ll probably only need 2-3 dipping sauces. In that case, go with something sweet, something spicy, and something neutral. On the other hand, if you’re throwing a huge bash, go a little wild and create a whole shrimp kabob bar with five or more sauces. Again, balance is key. I’d recommend one sweet sauce, one semi-spicy with a little kick, one with a whole lot of kick, and one or two neutral sauces. A simple but delicious recipe that uses only 2 main ingredients. Perfect for summer grilling. 1. Use meat scissors to cut the bacon into thirds. 2. 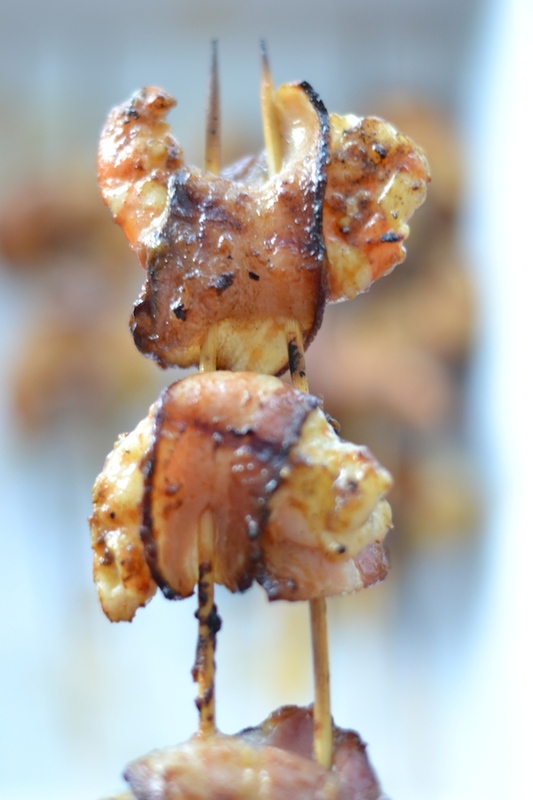 Tightly wrap the bacon around each shrimp and slide onto a skewer. For better results you can use 2 skewers. 3. Cook the skewers on either a grill or in a pan on the stove top until the shrimp is pink and the bacon is cooked (about two to three minutes on each side). 4. Serve right away with one or more of the delicious dipping sauces. It’s up to you whether to use regular bacon or turkey bacon. Soak the wooden skewers in water for 10 to 15 minutes before threading the shrimp onto them to prevent burning. This recipe makes about 10 kabobs using large shrimp. The number will vary depending on the size of the shrimp. I made my kabobs with 3 shrimps on each one.